As a child I always loved Valentines Day. Buying little packs of cards with my favourite cartoon character expressing how ‘cool’ or ‘great’ all of my various valentines' were on this day. I would go through my class list, writing each person’s name on the cards and distributing them on this day full of hearts, love, and best of all – candy. Not much has changed as I’ve gotten older - candy, flowers, and cute little cards still bring a smile to my face on this over-commercialized holiday. Still, Brandon feels strongly that he does not need a certain day to show his love to me. And I suppose this is a good thing as I get to feel the love every day of the year. 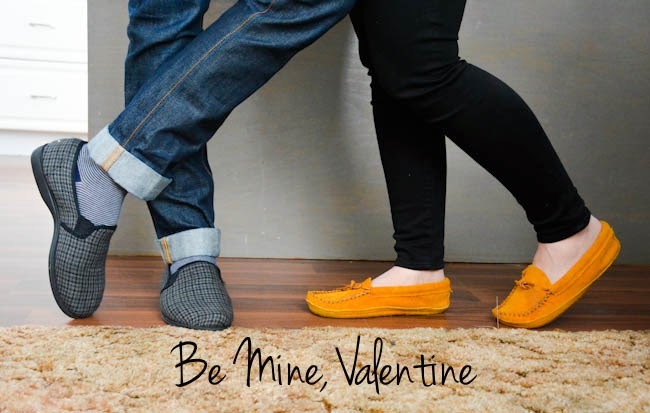 Yet, he knows his gift loving, affection-seeking wife well, and always seems to pull out something special on February 14. Whether you love Valentine’s day or hate it; whether you are single, dating, engaged, or married; whether you see it as obligation or opportunity, there is still something to be said for the main thing that this day advocates for... love. Love is universal. It transcends romance, dates on a calendar, or flowers in a vase. Love is a calling. Love is a state of being. And it seems to me that the only way we can love well is if we look to the One who is Love. So today, whether you are in love with a special someone or not. Seek love. Give love. Be love to somebody today. And while you are at it, don’t just do it today. Seek, give, and be tomorrow too. Let us love more this day, month, year than we have loved before. For those of you sappy romantics out there, those of you in love or wanting to be in love, don’t just spend today cultivating it. Go on dates, whisper sweet things to your partner, do things out of generosity and sacrifice each day of the year. Forgot to reserve a table? Something came up? You still have time! Go out tomorrow! The restaurants are empty and you will get the best seat in the house. Brandon and I would intentionally go to Canyon Creek in Niagara Falls on the day after Valentine’s day. You get the best table in the place with a clear view of the falls! Go crazy if you want to. Notes left around, sticky notes pasted to walls, notes that lead to a bouquet of roses... all wonderful! Although this wasn’t for Valentine’s day, it was one of the sweetest gifts I have ever received. Brandon put together a puzzle, flipped it over, wrote a letter and then broke it up. In order for me to read it, I had to put it back together again. Bed, check! Made hot at the table, check! At our favourite breakfast nook, check! Breakfast for me is great no matter where he takes me for it. Over-easy eggs and bacon extra crispy always goes straight to the heart (and perhaps hips...). Forget the expenses. Put on a sappy love movie, pop some popcorn, and put on the fire. So, let’s love today. Let’s love tomorrow.